The Lil’ GRO Vertical Garden is a great way to introduce children to the world of gardening. minimize your garden space, indoors and outdoors.Like children, the Lil’ GRO CGS has a small footprint, yet it will change the way to garden in a big way! 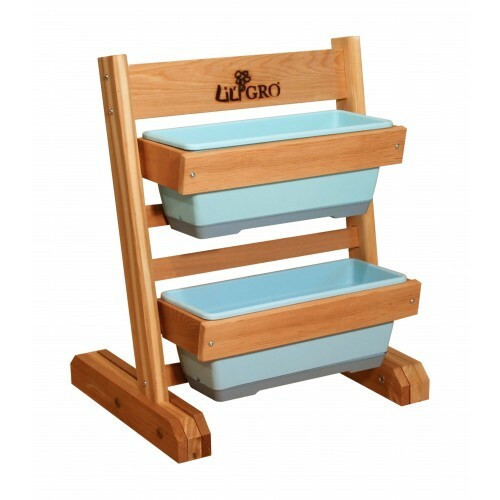 The Lil’ GRO Products are quick and easy to assemble-it only takes a few minutes. Planters are made in the USA. Constructed with naturally durable, rot and insect resistant, select tight knot and finger-jointed, unfinished Western Red Cedar. Finger-jointed cedar alleviates the need to always mill solid planks of lumber from standing trees, which helps sustain forests and prevent wood waste. 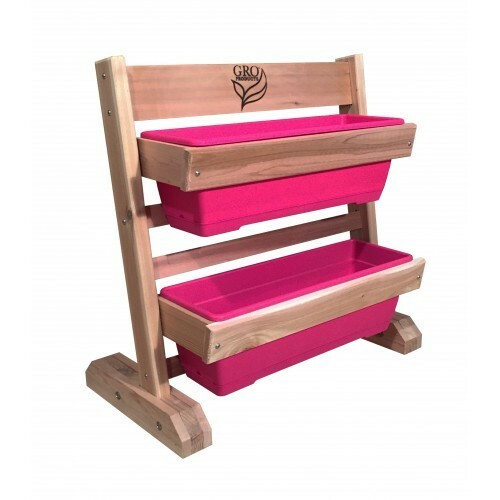 All assembly hardware is included.Here’s a helpful hint- you can remove the plastic liners and kids can conveniently plant them on your potting table. 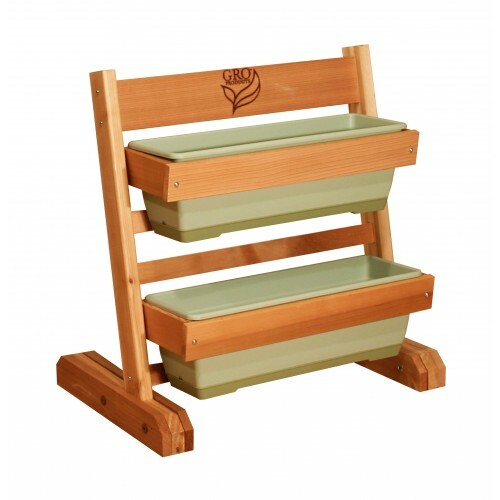 The kit includes 2 removable planter boxes that can be adjusted on the CGS to accommodate different plant heights, each CG Planter Box has removable, heavy duty plastic liners with interlocking reservoir bottom. These plastic liners provide a barrier between the soil and cedar. All assembly hardware is included. Want to move your Color GRO Vertical System around? Add Casters and your CGS will be MOBILE! And check out the Irrigation System too!